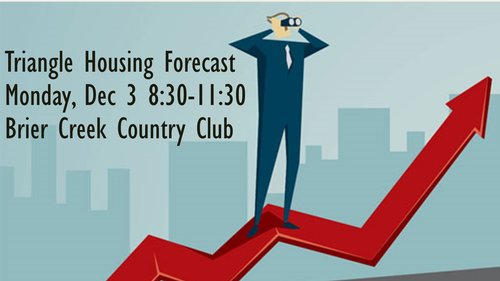 2018 Triangle Housing Forecast - Dec 3, 2018 - Home Builders Association of Durham ? Annual Triangle Housing Forecast with a NEW Format! There will be a moderated panel with opportunity for Q&A after the full presentations. Sponsorship Opportunities available! Contact Holly Fraccaro, holly@hbadoc.com for more information. $45 for Members of the HBA of Durham, Orange & Chatham Counties & the HBA or Raleigh-Wake County. Membership will be verfied to receive member discount!